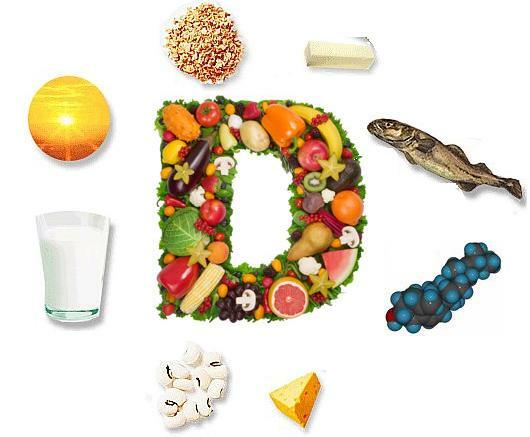 Healthy Gal's Healthful Life: Do you D? What is it about D? 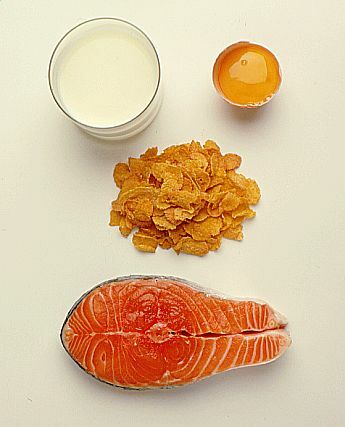 Vitamin D comes from a few major places- the sun, fortified milk, fortified breakfast cereal, eggs, supplements, and salmon. Other than those mentioned, there are only few places to get vitamin D into your diet. If you live in the northeast or anywhere north of the Mason-Dixon line, it's not surprising that you might be deficient during the winter time. This because in the region north of this line, the sun isn't strong enough during the winter months to allow you to make enough to reap the full benefits. Even if you don't live north of this line, and with conscious effort, most of us fall much shorter than we would imagine in the D category. Did you know? Only 10% of people in the United States get enough D? Did you also know that your body doesn't make as much as you get older? Why is D so important? Vitamin D plays a major role in calcium absorption and in bone formation. We all know that getting enough calcium is essential to preventing bone fractures, and for forming healthy bones when you're young. You reach peak bone mass (the point at which your bones are the strongest and have the most bone tissue) in your mid-20's (around age 25). At this point if you don't have enough bone tissue to last you the rest of your life, you risk fractures, brittle bones, and osteoporosis (for us women, though! men can get it too). Women are at hightened risk because during menopause we stop making estrogen. Estrogen is a key component to building bone mass. You have two cells in your bones- osteoblasts and osteoclasts. The easy way to remember what both of these cells do is by thinking of it this way- "blasts" build and "clasts" corrupt. During our early years our osteoblasts that cause calcium in the body to be stored as bone, are more active- this is mainly caused by estrogen (in women). After menopause when women stop producing estrogen- the osteoclasts become more active and they take calcium out of your bones- and therefore make them weaker. Why does this happen? So that there is enough calcium in your blood- your body likes a steady level and the biggest store is in the bones so it is taken from there in times of need. You need to have enough calcium in your bones to last you the rest of your life at age 25. There is a huge misconception that if you get the amount that is recommended- between 1000 and 1200 mg/day, that you have enough- WRONG!! This will only be enough IF you are eating your calcium with the right foods/ supplements. 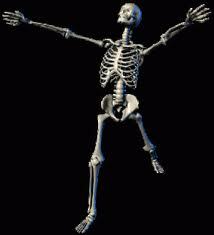 Calcium absolutely will not absorbed nor will it be used to build healthy bones without vitamin D present. This is why fortified milk is great, because you have both calcium and vitamin D together, which will allow for the best absorption. So thats one way vitamin D is essential to the body, vitamin D has also been found to play a major role in immunity- helping to fight off diseases and viruses. The verdict is still out, but the importance of the vitamin was highlighted in the most recent vitamin D requirement released by the National Institutes of Health- Office of Dietary Supplements- a great website for finding out how much of what you need. The NIH recommends that everyone between the age of 1 and 71 get 600 IU/ day (International Units- the measurement for vitamin D), and 800 IU/day for ages 71 and older. Even though this is newly released information, a new study that was released in the Anticancer Research journal suggests that 4,000 IU might be necessary to fight Cancer- such as Breast and Colon, Multiple Sclerosis and Type 1 diabetes. This isn't to say that you should go out and buy a huge whopping dose of vitamin D, but it does mean to keep your eyes and ears open to the progression that is taking place among the vitamin D researchers. The "upper limit"- which is the limit set by the FDA at the maximum amount a person can take without adverse affects, is 10,000 IU, so this 4,000 IU level is way below this point. This article suggests that the main mechanism that would cause need for increased intake of vitamin D has to do with how much is in your blood. The researchers found that with below 4,000 IU/ day, blood levels of vitamin D are not maintained at levels high enough to fight these Cancers and diseases; but at 4,000 IU the blood levels are significantly higher and can majorly benefit fighting disease. So what should you take away from this? Make sure you can get as much D as you can from the foods you eat, and consult your healthcare practitioner about a supplement. This is an important vitamin to warding off the many winter viruses!